When you live in North Carolina and your wife lives in California, you can still get a divorce. However, certain residency requirements may come into play, which will affect whether your or your wife may file for divorce where you live. In addition, specific rules apply if you and your spouse have minor children -- these rules dictate which state has jurisdiction to issue an order regarding custody. Further, state-specific property division rules may also play into the decision of where to file. Although you do not need to reside in the same state as your spouse to get a divorce, you must select one state to file the divorce documents. Both North Carolina and California have residency requirements for divorce, and it does not matter where you were originally married. Instead, both states require that the person filing live in the state for at least six months first. If you recently separated from your spouse, it is possible that one or both of you would not be able to file in North Carolina or California because you have not lived in the state long enough. The Uniform Child Custody Jurisdiction and Enforcement Act, a uniform state law passed in both North Carolina and California, provides that custody determinations made in one state are enforceable by other states. However, a court can make the initial custody determinations only if the child has lived in that state for at least six months prior, or if the child has a significant connection to that state. Thus, typically, the parent with current custody of the children would file for divorce in the state where the children currently live. If you and your wife are each eligible to file for divorce, you might consider whether one state or the other has more favorable divorce laws for your situation. For example, California is a community property state, meaning that assets and debts acquired during the marriage are jointly owned by the couple and are divided equally in a divorce. Similarly, in North Carolina, the law starts with the presumption that division of property should be equal. However, the court will also consider what would be an "equitable" distribution, fair under the circumstances, which may result in an uneven distribution of marital property. After one party has filed for divorce in one state, you have a limited amount of time to challenge jurisdiction. 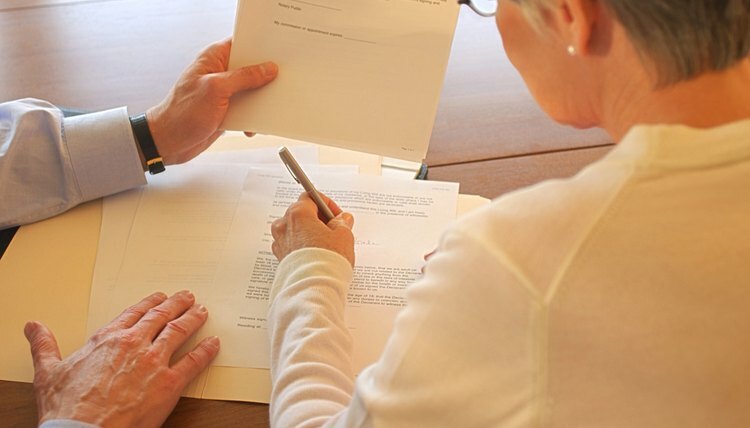 In order to initiate your case in North Carolina, you must serve your wife with your papers. To serve your wife in California, North Carolina allows your wife to waive formal service. If she does not waive service, however, you must have a process server or other adult personally serve the paperwork on your wife in California. If your wife initiates the case in California, she may serve the papers by certified mail, provided that you return a signed acknowledgment of receipt. If you do not cooperate, she must have the paperwork personally served, or hand-delivered, by a process server or someone other than herself. When marriages end, spouses often go their separate ways, with only a few blocks or miles separating the former couple. However, sometimes spouses end up in different states. If you live in Florida and have decided to file for divorce, but your spouse resides elsewhere, you can still obtain a divorce, although there may be several limitations to contend with. What Is the Process of Getting Divorced While in Different States?